Patna, March 18: An encounter has broken out between Naxals and security forces on Monday in Bihar's Nawada district at about 6:30 am. The operation is being carried out by the commandoes of 205 COBRA company. Intermittent firing is underway. One body has been recovered so far. However, the security forces have not suffered any casualty in the gunbattle. More details are still awaited. Odisha: 5 Naxals Killed in Encounter With Security Forces in Kalimela Area of Malkangiri. Meanwhile, on Sunday, two Naxals were arrested after an encounter between security forces and ultras in Chhattisgarh's Dantewada district. The two, identified as Jhatel Madvi (24) and Ware Mandavi (26), were held from the forest near Surnar village in Katekalyan police station limits. 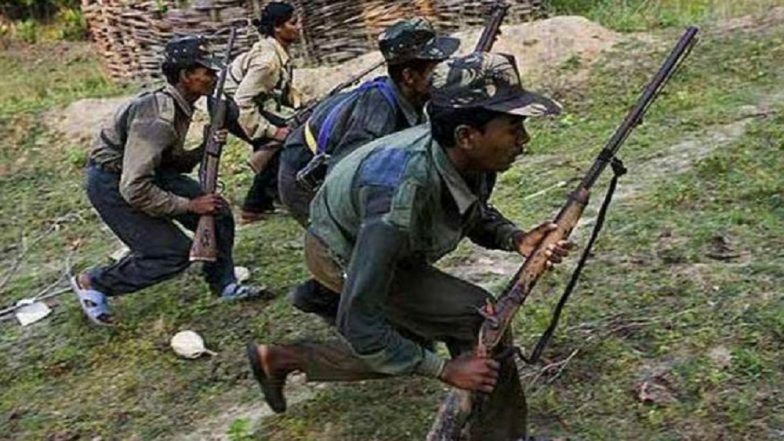 "A patrolling team of the Central Reserve Police Force (CRPF), District Reserve Guard (DRG) and district force was combing Surnar when it came under Naxal fire. While the ultras fled following retaliatory fire from the forces, Madvi and Mandavi were nabbed," Dantewada Superintendent of Police Abhishek Pallava said. Doordarshan Cameraman, 2 Security Personnel Killed in Naxal Attack Ahead of Chhattisgarh Assembly Elections 2018. On March 16, two Naxals were gunned down in an encounter with troops of 198 Battalion of the Central Reserve Police Force (CRPF) and Andhra Pradesh Police in Pedabayalu of Visakhapatnam district. The encounter broke out at around 1:30 am on March 16, after the troops were out for area-specific input patrol. On CRPF jawan also sustained an injury in the gunfight. In February this year too, one Naxal was neutralised after an encounter broke out between two sides in Chhattisgarh.